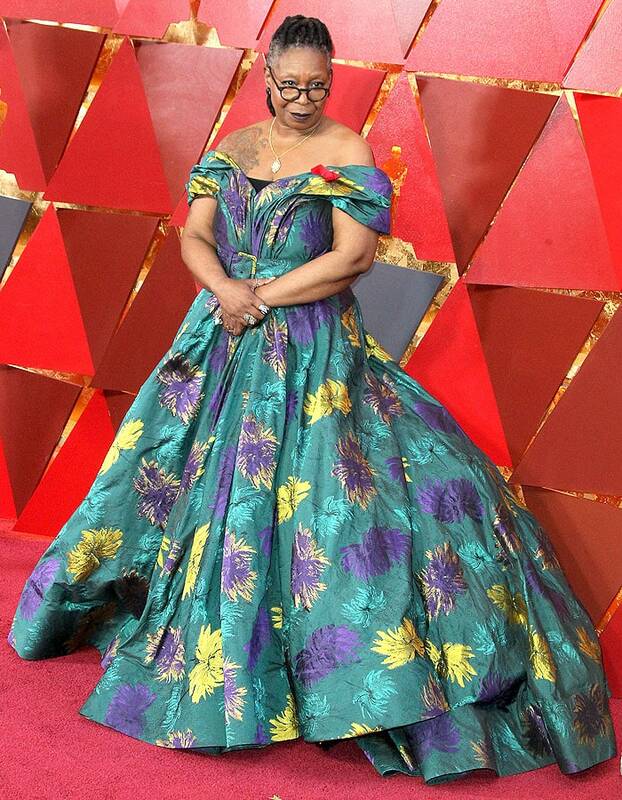 Whoopi Goldberg slayed the 2018 Oscars red carpet not only in style — but also in comfort. The 62-year-old actress wore hiker boots under her custom Christian Siriano belted gown that was printed with metallic purple and gold leaves. Whoopi, who is a self-proclaimed sweats girl, said in her red carpet interview that Christian Siriano made the gown for her specifically so that she’d be comfortable. “The View” daytime talk show co-host revealed that the gown also had pockets, as though we weren’t already sold on her custom look. She got us completely hooked when she lifted her voluminous skirt and uncovered the taupe boots that she said Christian Siriano let her wear with her ball gown. 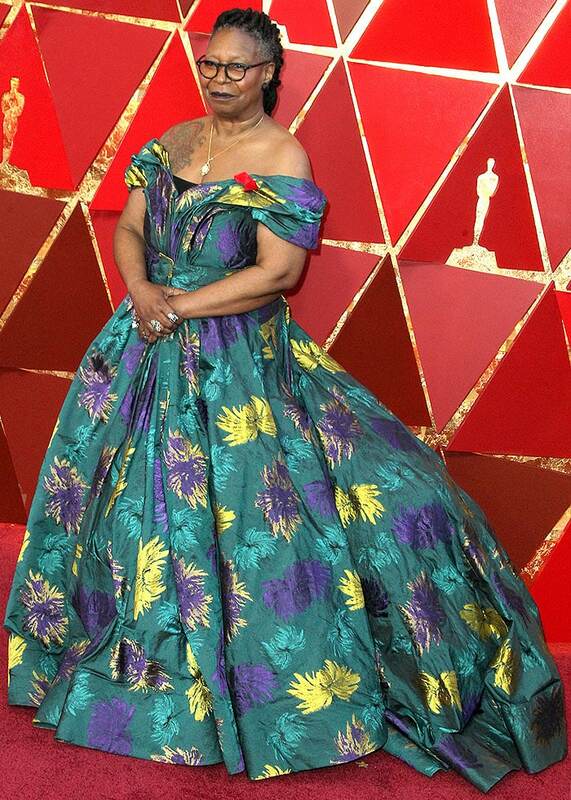 Do you think Whoopi in her ball gown and boots ensemble beats out the likes of Jennifer Lawrence and Allison Williams for biggest princess moment at the 2018 Academy Awards? 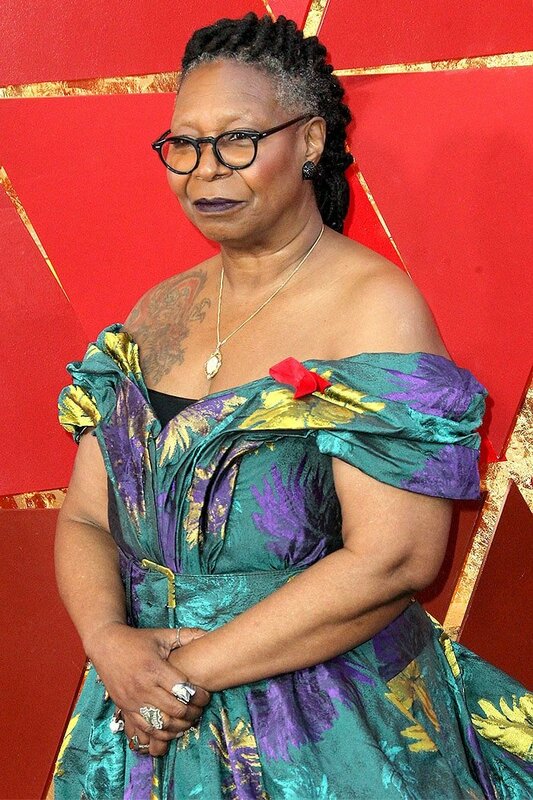 Whoopi Goldberg at the 2018 Academy Awards (Oscars) held at the Dolby Theatre in Hollywood, California, on March 4, 2018.